3D, 2D, Concept Art, Writing, Design, and Programming departments recruiting! Greetings, everypony! While I was wandering around behind the scenes, I noticed that Legends of Equestria needs more team members to make this game the best that it can be. After all, it takes a large team to work on a project as grand as Legends of Equestria! If your skills fit what we're looking for, go ahead and send us an application. When you apply, we will need to see examples of what you can do, so don't be afraid to show off your talent! To apply for the 2D team, please email [email protected] and [email protected] with a link to an online portfolio containing examples of your skills. The 2D team leads would like to see plenty of examples of environmental art or textured 3D art, rather than 2D character work or fan art. 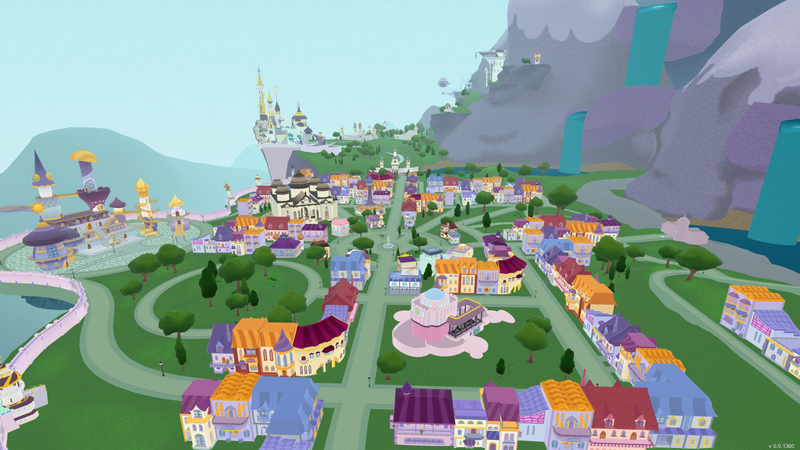 Applicants must understand the basics of color theory, be able to mimic the art style of the environments and buildings in My Little Pony: Friendship is Magic, and be able to create vector graphics. Please state how much time you are able to devote to Legends of Equestria, and remember that you will be expected to complete at least one texture per week. Access to programs such as Adobe Photoshop, Illustrator, or Flash is not necessary but would be very beneficial. To apply for the concept art team, please email [email protected] with a link to an online portfolio containing examples of your drawing skill. Although the team is looking for individuals who are comfortable with drawing characters, creatures, and architecture in the style of My Little Pony: Friendship is Magic, we would like for your portfolio to contain something other than My Little Pony fanart. Your email should also include your Skype username, the amount of time you are able to devote to the project, and your strengths and weaknesses that are relevant to the position. Please keep in mind that the concept art team is hiring on a rolling basis, so you can apply at any time. Applicants for the writing department must submit one or more examples of their writing to [email protected]. Creative prose is preferred, but not completely necessary. All applications must be submitted via email with a link to a Google Doc in the application. Your name must also be included. Any applicants who are copying from an outside source such as Microsoft Word must paste the text directly into Google Docs rather than uploading a file. They must also be visible to the parties which will judge entries. Submissions which require a download or do not have proper permissions will be ignored. Examples must be at least one page in length and cannot have been edited by any outside party. Experience is not necessary, but any applicants capable of listing qualifications should do so. After applicants have been reviewed, the most favorable will receive a prompt, at which point they will have one week to submit a story that falls within the guidelines of this prompt. After these have been judged, the new writers will be announced. To apply for the design team, please email [email protected] with examples of design materials, as well as how much time you are able to devote to the project. Prefered examples are design documents which focus on gameplay mechanics, systems, and the equations and numbers which make those systems tick. Potential design team members should be able to contribute to discussions about ability trees, as well as independently write complex design documents which focus on attribute balance and gameplay integration. Potential design team members with large scale map layout abilities will also be considered. Only the applicants that the respective team leader is interested in will receive response emails. 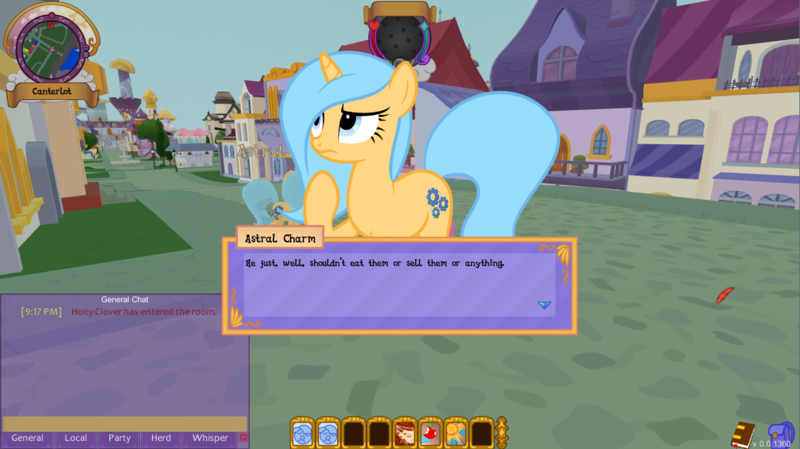 New stuff in Legends of Equestria! Unicorn and Earth Pony Attacks! Hello everyone! It's nice to see you all again. Today, I am going to show you some new art from the development team. They have all been working hard to make Legends of Equestria a fun and unique experience for all of you, and I'm really excited to show you some of the progress they've made! I know that Bloomberg has been covering these artist showcases up until now, but he is very busy working on other parts of Legends of Equestria. Since I love showing and teaching people new things, I was very excited to be given this opportunity, so I'll be bringing you the showcases from now on. So, Bloomberg, if you're reading this, thanks for all of your hard work up to this point! 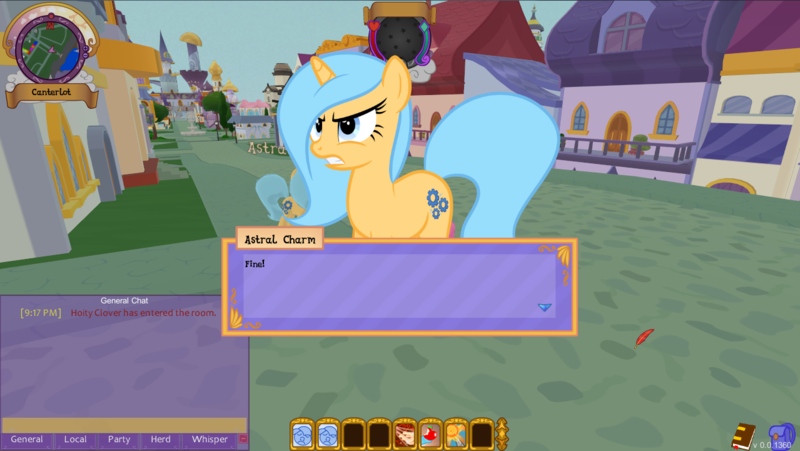 This month's showcase will be showing off the brand new public Canterlot library, which has had many hours of work put into it by some of our talented artists. Let's start with when the library was only just an idea and a sketch. "I come from an old town in Pennsylvania, and I liked basing some of my design for buildings off of the classic architecture around here a lot of the buildings have a more colonial style to them, which doesn't exactly fit in Canterlot. However, it does work for some things, such as government buildings or offices." After the initial designs were completed, our wonderful people over at the 3D department took over. Below you can see the work done by 3D modeler Ryan Scanlon. After receiving the sketch, he was able to form the first 3D model of the library, with two ponies in the doorway for scale. 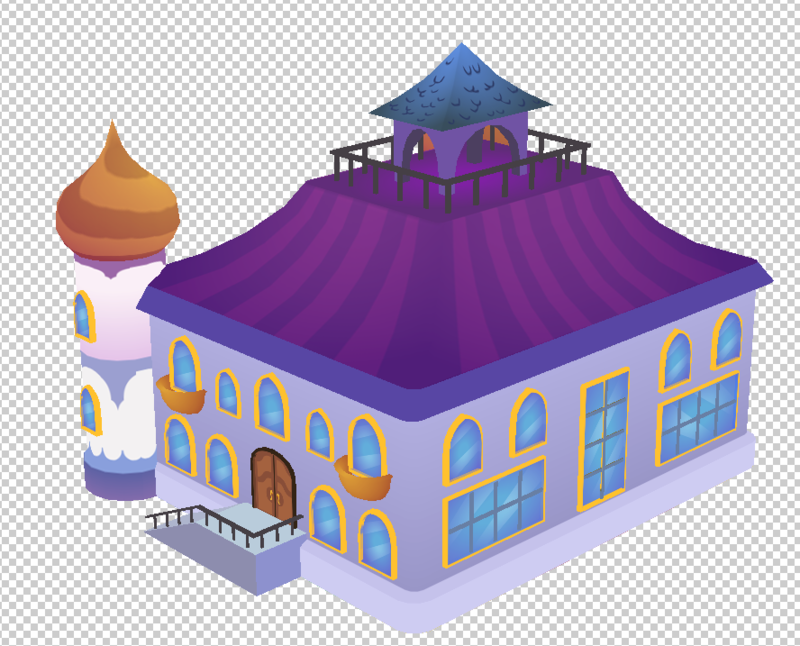 Here are Ryan's thoughts on this building, which was his first with Legends of Equestria! This one was actually pretty straight forward. It did come with that fun little book statue side project though and I really liked that, I prefer modeling props over buildings. This building doesn't have a lot of complex geometry, its basically a rectangle with things attached to it, which is frankly what most buildings in video games are. Things with more complex shapes are always more of a challenge to model and to layout the UVs [texture maps] for. Prop items for the most part have lots of smaller complex parts to them and thats what makes them more fun. All the buildings have off-white colored walls, and the roofs usually either have a swirl, stripe, or checkerboard pattern. 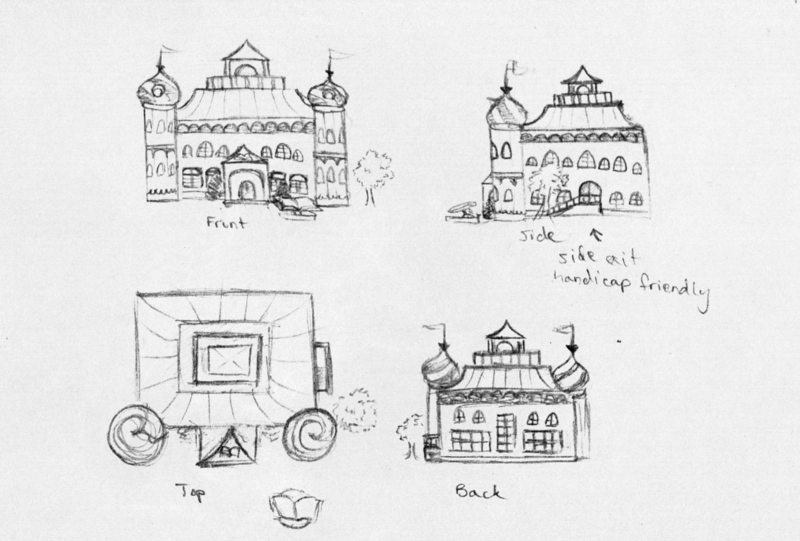 I studied buildings that we have already seen in the show to decide some of the texture choices. Other patterns were drawn from the concept artist's original vision of the model's texture. Color choices were drawn from studying the color palette in various screenshots. Canterlot primarily uses blue, white, purple, and gold for most of its color. After the artists have put it all together, we have a finished building. 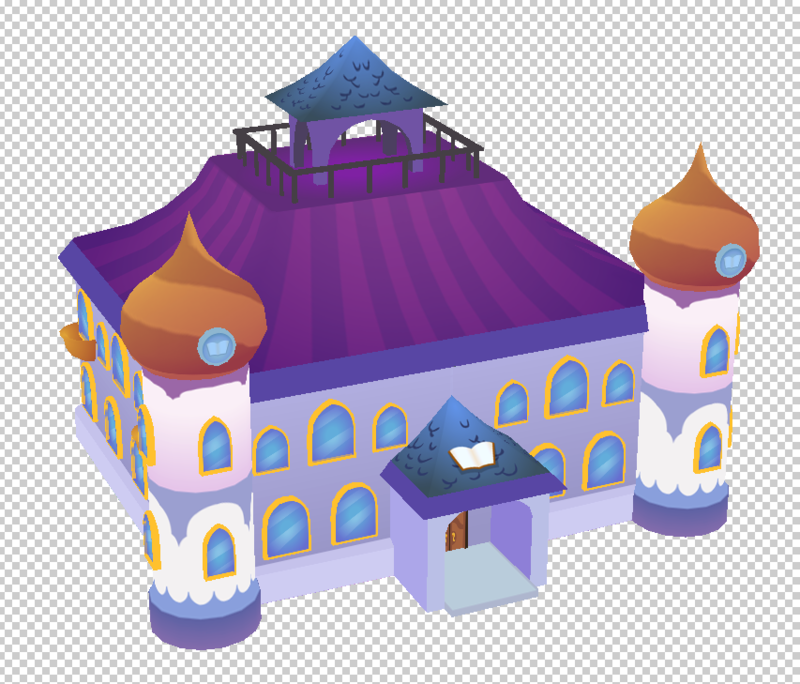 Below, you can see the Canterlot library in its completed state, which has now been placed inside the game! Check it out! Until then, thank you all for coming, and I hope you'll come back to see next month's artist showcase as well! Legends of Equestria announces Open Server Weekend Spectacular! Missed the first Pre-Alpha Stress Test? The Legends of Equestria Development Team is here for you! Legends of Equestria Attending Everfree Northwest and Fiesta Equestria! Staff from Legends of Equestria, a massively multiplayer online game set in a My Little Pony-inspired universe, will be attending both Fiesta Equestria! and Everfree Northwest. 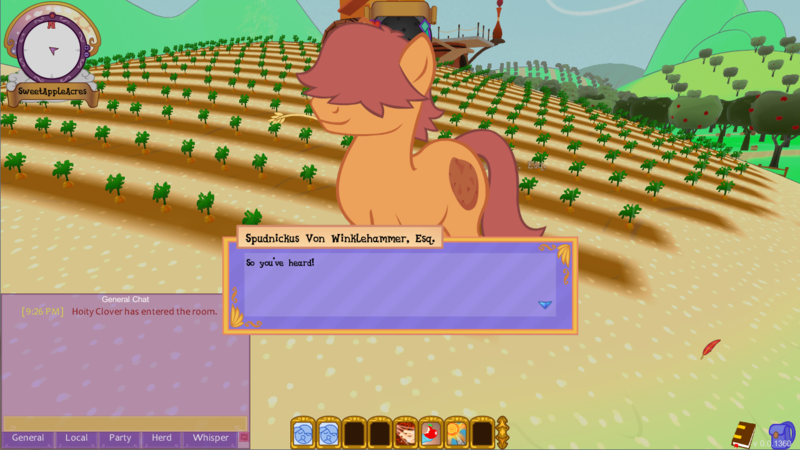 In addition to presenting panels, representatives of the Legends of Equestria team will give convention attendees an opportunity to play the game in its current pre-alpha state. Convention-specific quests within the game will be available to those who attend. Bloomberg - Editor-in-Chief. Bloomberg has been on the project for the past two years, where he now serves as the allegedly deciduous writing team leader. Blue Ink - Writer. A professional editor, Blue is the second-in-command of the writers and has been working on the game since last year. TheGrandFunkasaurus - 3D modeler. The grandest of all dinosaurs, Funk is a live sound technician in real life who has worked on the game for the past two years. Tekner - Programmer. 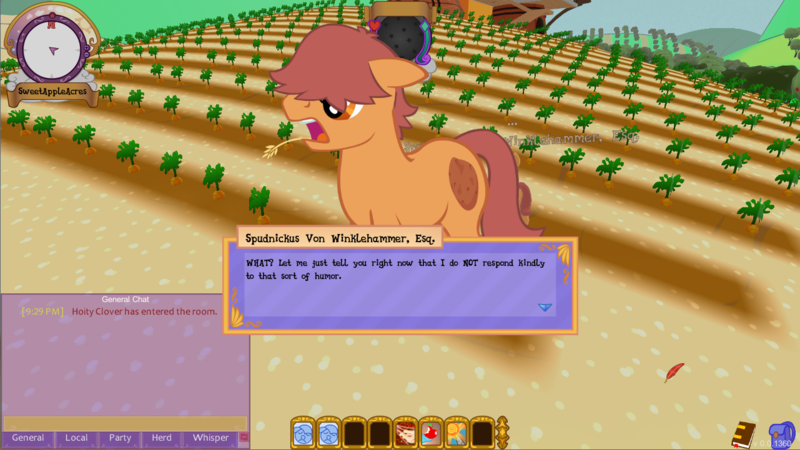 Tekner is a self-employed game designer and developer, and has been working on Legends of Equestria for one year. AnyaSmash - Concept Art leader. A long-time lover of tea, Anya has been working on Legends of Equestria for nearly two years and is a graphic design student. Cerebrate - Programming leader. Cerebrate owes Anya $5.50 and some burnt banana bread, and has been working on the project for nearly two years. Kit - Graphic Art leader. Kit teaches children how to make computer games and works with horses, and has been working on the project for nearly two years. Ryan Scanlon - 3D modeler. 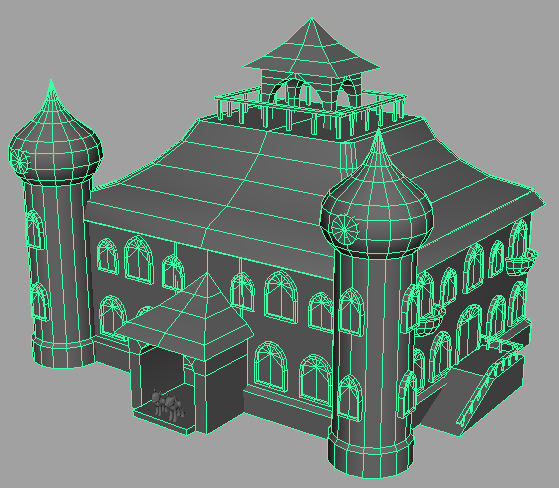 Ryan has been on the team for seven months, and has modeled several lovely buildings for Canterlot within that time frame.